Staying in a capsule was really nice experience! The capsule was bigger than i thought before and cozy. Reasonable fare and cozy room! It was valuable to stay in there! USB charging plugs were convenient to have two of them. I like idea. Its just pit stop for solo travelers. Host was great. Overrall its good experience. The boxes are nice and private which is nice compared to an open bed hostel room, and it was very easyto come and go as I pleased. The host was also great, he came as soon as I called with a question. One of our best sellers in Vienna! FOX-BOX Apt, is offering futuristic-style apartment in the heart of Vienna, in the picturesque Margareten district. Free WiFi is offered. Belvedere Palace is 1.2 mi from FOX-BOX Apt,, while Vienna State Opera is 1.4 mi away. The nearest airport is Vienna International Airport, 11 mi from the property. When would you like to stay at FOX-BOX Apt. Vienna unserviced? Very small but also very fine. A dream came true, Vienna's first "unit" apartments are open now. Up to 8 guests living together. Each unit is lockable and is having their own safe and locker. 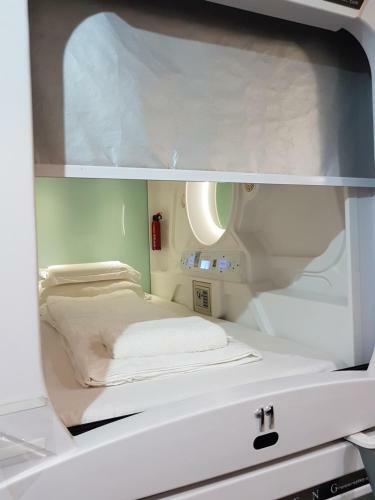 Welcome to the first capsule "unit" in Vienna! We are pleased to give you the opportunity to enjoy the nights in stylish beds for a super low price. Why wasting your money on any other experiance Hotel, if you can spend it for even more experiences in Vienna? You will find us in the heart of Vienna. The tram (S2) is only 500m from the apartment. But you can take your time and discover Vienna by walking. Nearby is the famous Naschmarkt, the Vienna State Opera and much much more. House Rules FOX-BOX Apt. Vienna unserviced takes special requests – add in the next step! FOX-BOX Apt. Vienna unserviced accepts these cards and reserves the right to temporarily hold an amount prior to arrival. Please note that you will receive the entrance code and unit number per E-mail. There is a chip card inside the unit to open the locker, and anything inside and outside the unit as well. Please note that only people who booked the unit can enter it. Please note that breakfast, beverages, cleaning services and change of sheets in the unit during your stay are not offered. Please note that the bathroom consist of a box including a shower, a toilets and a sink. The location was lovely, the staff helped me when my locker wouldn't lock. The privacy you get was just like having a separate room from everyone else, however it wasn't sound proof. You should respect the people who are staying in there and keep noise levels as low as possible. Towels are also supplied. Responded to email questions very quickly. The toilet and bathroom are within the same small container, it resembles a plane bathroom and not at all comfortable. The door of one of the wc/bathrooms was not shutting properly. My locker when I arrived was locked with a random lock by someone else so I couldn’t even use it. No wentilation, toilets right in the middle of the room (you can hear and smell EVERYTHING), dirty sheets, toilet/shower combos. The worst place I’ve ever stayed in, basically a scam. Capsule beds very comfortable and enough room. Coffee machine and ither kitchen appliances in the room. Everything went ok! Very close to the central station. It's a little room under the building. Capsules are comfortable, and there are almost everything in it: charge, case, light. 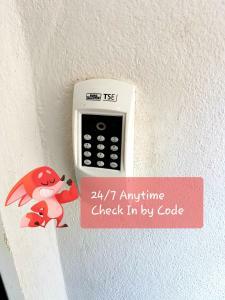 The code for unlocking the door of the apartment (I received it by e-mail) was wrong, a digit was missing. I was lucky that someone (a guest) was inside and opened the door for me to get in, then he told me the correct code. In my capsule, bed sheets and pillowcase were not clean, they had not been changed after the previous use :(((( !!!!!! It was very cold inside. In the night, the outside temperature was 3 degrees Celsius, but the apartment was not heated at all. The radiators were cold all the time. The doors of the bathrooms were defective. One did not close at all, and the other could be closed only with big effort. No reception, you just got a mail with a secure number to open the door of the room (when you finally find it). My card locker didn't work. The safe in the box didn't work for my brother. The experience of sleeping in a box (really). Pretty far away from the city center and there is no real common space. The pods were all in one small basement room that smelled. The bathrooms are tiny lockers that have a combined toilet and shower, and the sliding doors barely close (and are quite difficult to close). Really bad experience with showers/toilets. First one's doors were broken, second's - shower also was broken (let water everywhere), there was difficul to regulate warmness. Bad sound izolation.